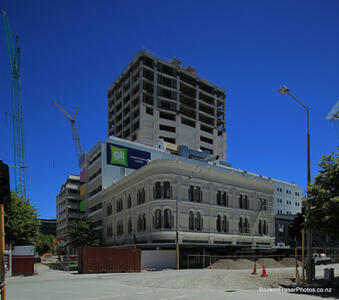 Photograph captioned by BeckerFraserPhotos, "Whitcoulls site, Cashel Mall". 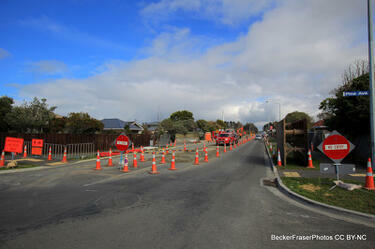 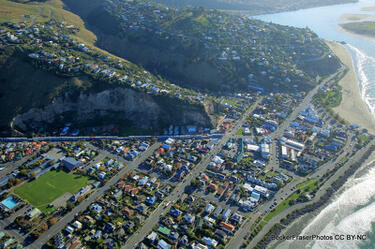 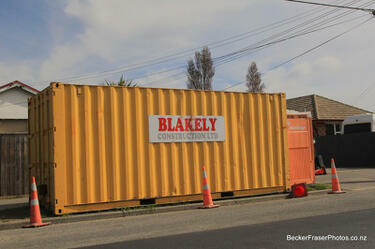 Photograph captioned by BeckerFraserPhotos, "Protective wall of containers along the Main Road, Redcliffs". 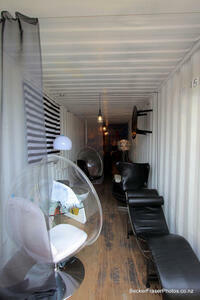 Photograph captioned by BeckerFraserPhotos, "Out of the Box, a new furniture shop in Sumner operating out of a container". 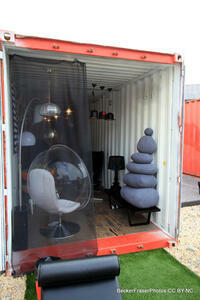 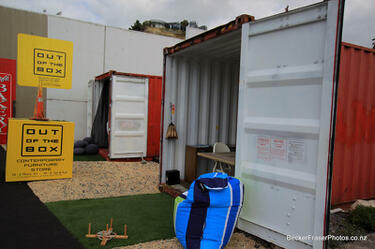 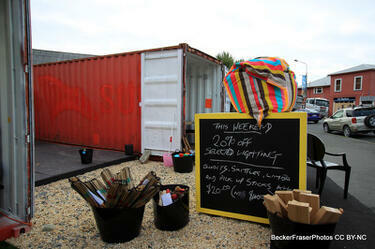 Photograph captioned by BeckerFraserPhotos, "A new furniture shop in a container in Sumner". 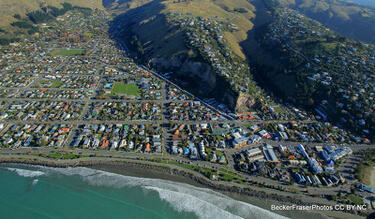 Photograph captioned by BeckerFraserPhotos, "201 High Street". 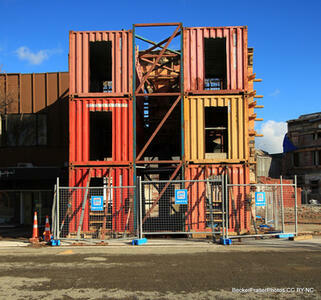 A photograph captioned by BeckerFraserPhotos, " Highlight House on the corner of Manchester and Cashel Streets prepared for demolition". 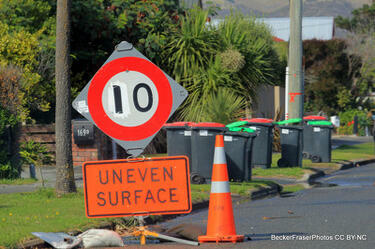 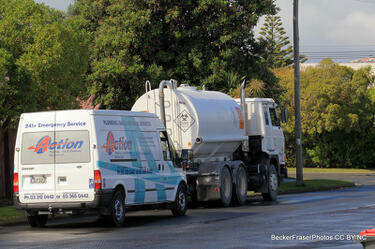 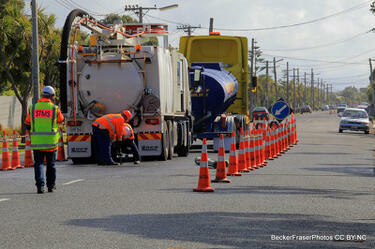 A rubbish truck collects rubbish from the red bins along Rocking Horse Road in Southshore. 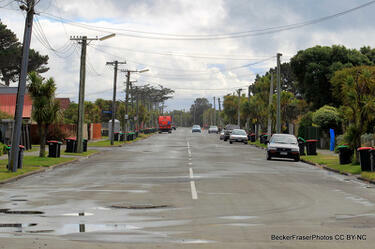 The uneven surface of the road can be seen, with water pooling in the foreground. 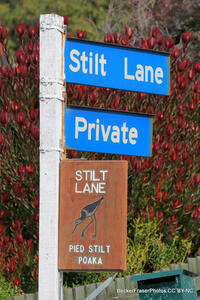 The road sign for Silt Lane in Southshore, with a pied stilt (poaka) painted on a handmade sign. 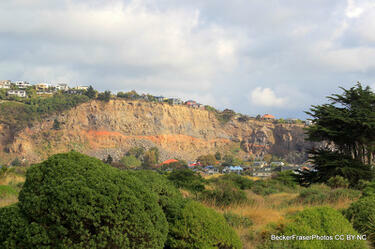 Redcliffs with visible rock fall, seen from the spit in Southshore.